Ledlightsafrica · Buying LED lights – don’t be fooled! 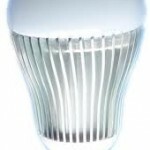 One more time – buying an LED light based ONLY on the number of watts (W) is a BIG mistake. Why? Well incandescent lights, like a 60 watt bulb, put out a fairly constant amount of lumens per watt of electricity used – no matter what the brand. Simply stated, look at lumens as being the measure of light output of a light source. The more lumens, the brighter the light. So buying a 60 watt bulb from brand X or Y or Z will not result in a dramatically different lumen output and you can have a high degree of confidence buying by the number of watts. Not so for LED lighting. Different manufacturers (and there are hundreds) produce lights that have very different “lumen per watt” outputs. Using older technology, the LEDs may only reach outputs of 50 lumens per watt. So buying a 3W LED light will give you about 150 lumens of light. More recent technology offers over 100 lumens per watt and so a good 3W light can offer 300 lumens of light output. That is the difference between a light level that allows reading and one that will cause eye strain. So do not buy a light that does not have the “lumenous flux” rating clearly stated. If you don’t, you’ll be playing Russian roulette when you turn it on – not knowing what you are going to get! What you will need to know is the lumen output of each of your current lights. 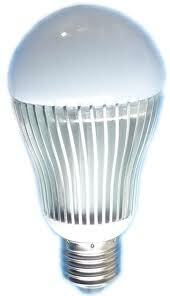 For example, a 60 W incandescent bulb puts out around 650-750 lumens. So you need an LED bulb that can match this. Look for the lumen output, not the wattage! Cheers for the material, and the blog genuinely looks fantastic. Just what wp theme are you utilizing?